What’s better than a cream puff for Valentine’s Day? 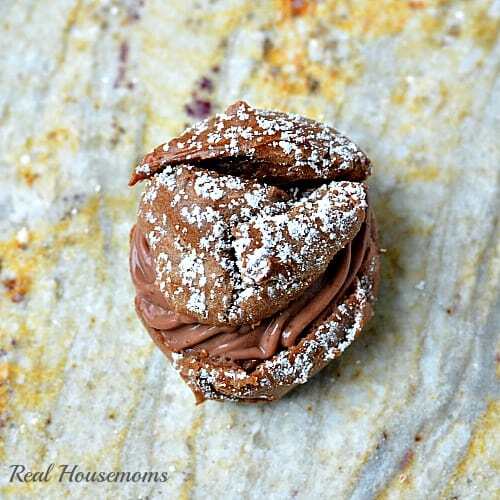 A Super Easy CHOCOLATE Cream Puff. I always thought making cream puffs was hard. Stacey made these traditional cream puffs a while back and they use a pudding mix. I thought sure that part is easy but making the puff has to be time consuming. I’m not sure what made me think that but then at Christmas a friend of mine made them for a Christmas dessert when we went over to her house. She told me how easy they were to make and I decided that I’d have to give them a shot. In 2014 I would conquer the cream puff. Well, what better time than Valentine’s Day to make them? I made them chocolate and they were gone by the time I went to bed that day. They didn’t make it to Valentine’s Day, but they were so easy to make that I’m just going to make another batch, or two, to enjoy with my loved ones. They’re easy guys. EASY. I can’t stress that enough. Make them, impress your family and you’ll become a believer. 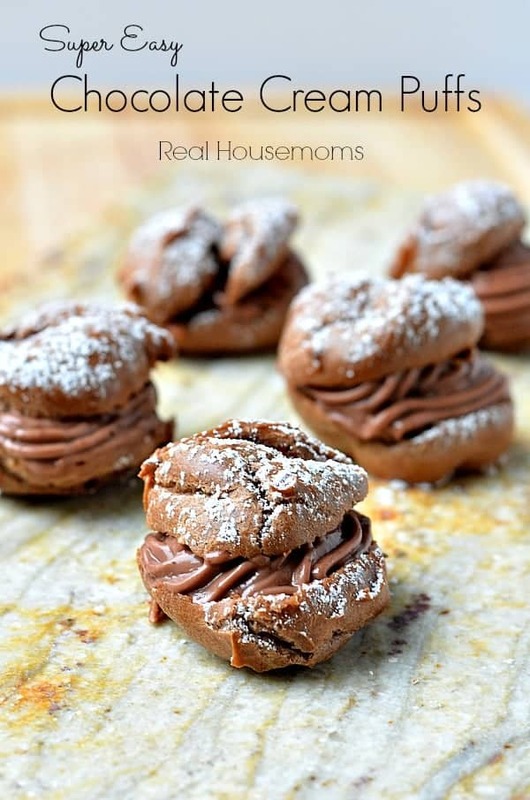 These Chocolate Cream Puffs are sooooo easy that a beginner can make them. You can impress your family and friends with this amazing dessert. Love this recipe!! I used two packages (3.5 oz) of instant chocolate pudding, two cups of heavy cream, and one cup of milk for my cream. So glad you liked them!! Thanks Megan.